NASA made a big announcement this week about new exoplanets found orbiting the dwarf star TRAPPIST-1 some 39 light years away. I've discussed this particular dwarf star system before (1), as it was already known to have three terrestrial planets in attendance orbiting very close to this cool, fairly dim star (2,3). The dwarf star is approximately one tenth the size of the Sun, and it's mass places it on the border between a brown dwarf and a red dwarf star. Unusually for a star this small, TRAPPIST-1 has a high metallicity, which actually exceeds that of the Sun (4). These planets have an approximately resonant relationship with one another. It's highly unusual to discovery such a string of planetary pearls as these, so there's no real way of knowing whether this is a 'normal' relationship. But in this case, at least, it is thought that these planets must have migrated inwards from their original orbital positions, and this resonance came about from interactions between them as they did so (5). This I find most interesting. We have here a precedent for the inward migration of a set of terrestrial planets which originally formed from TRAPPIST-1's proto-planetary disk at a much greater distance. In so doing, they established a resonant relationship with one another as the planetary system settled down into an equilibrium state. If such an arrangement is thought to happen here, could it not also have occurred in the early solar system? Could Mercury, Venus, Earth and Mars all have begun life further out in the solar system before migrating inwards, and establishing their own sequential equilibrium (the basis of which led to the now-superceded Titius-Bode Law)? As an advocate of the possibility that Earth began life where the asteroid belt is currently located, I find this development very encouraging. The phrase 'ultra-cool dwarf star', which has been used widely to describe TRAPPIST-1, may be misleading. Indeed, the phrase was used by the team of international scientists working on TRAPPIST-1 system in the titles of their published papers in Nature (3, 5). As mentioned, at ~83 Jupiter masses, TRAPPIST-1 is on the borderline of being able to burn hydrogen - unlike its smaller brown dwarf cousins. 'Ultra-cool' is usually used to denote a sub-brown dwarf, whose mass lies below the 13 Jupiter mass point where deuterium starts to burn. 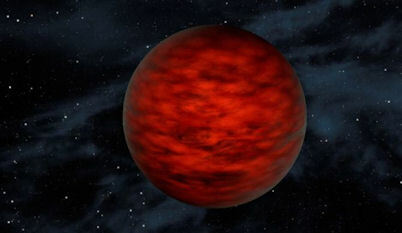 Red dwarfs are simply smaller, cooler cousins of yellow dwarf stars, like the Sun. The term 'ultra-cool' makes it sound like these objects lie way down at the bottom of the stellar spectrum, when in reality there is an additional spectrum of brown dwarfs and, yes, 'ultra-cool' sub-brown dwarfs beyond. Then there's the colour, which is a related issue. Many of the published artistic images of TRAPPIST-1 and its seven planets show the central star appearing yellow, much like our Sun. However, at 83Mj, TRAPPIST-1 would appear red. I could understand how this might happen in the mainstream media, who would know no different about such matters. 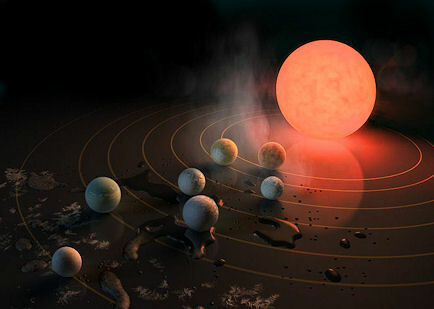 However, it's not at all clear to me why NASA's own writers would place illustrations showing TRAPPIST-1 as a golden sun-like star in its own official press release (7). This contrasts with their more accurate depiction of the TRAPPIST-1 red dwarf system in a NASA press release the previous year (8). Do they simply want to appeal to a wider audience by giving the impression of habitable planets around a familiar yellow star? Or do they want to avoid the conspiratorial connotations associated with seven planets orbiting a red star (for which I must reluctantly claim some credit)? What's even weirder, for me at least, is that NASA's new artistic impression of the view of the TRAPPIST-1 system - as seen from one of its habitable planets - is very, very similar to my own painting created for the cover of my 2005 book 'Dark Star' (9). Given the miniature nature of this red star and its tiny system of seven planets, I have to wonder whether this is a coincidence? After all, such a description bears a remarkable resemblance to the Dark Star system I've been writing about for the best part of two decades. 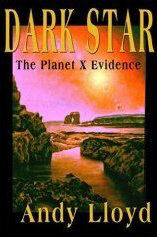 Makes you wonder whether 'Dark Star' is sat on the bookshelves of some of NASA's own people, doesn't it? Back in 2008, one of my fellow researchers, Al Cornette, wrote a book entitled "Seven Mountains and the Red Star", which discussed a possible return of Nibiru for 2012. This poetic description bears a rather uncanny resemblance to the planetary format of TRAPPIST-1 (which I'm now tempted to think of as 'Cornette's Star'). In our respective books, Al and I both wrote about the Planet X phenomenon, whose description of a sizeable red planet and accompanying set of seven moons originates from the writings of Zecharia Sitchin (11). Now, neither of us are even hinting that TRAPPIST-1 might be this system. TRAPPIST-1 lies almost 40 light years away, whereas the Dark Star system (or planet Nibiru/Marduk as Sitchin described it) is necessarily orbiting our own Sun, whose influence extends to perhaps a single light year at best. Nonetheless, both of us feel somewhat vindicated that these miniature planetary systems are a reality, and may offer the conditions for life in our galactic neighbourhood. An important precedent has clearly been set. Water is a common component of the solar system. It is increasingly turning up in places which were hitherto considered to be arid places - Mars, the Moon, various moons. There is a conflict between the initial general availability of water in the proto-solar nebula, which implies the universal presence of water across the early solar system, and the action of the Sun and its solar wind to drive it away. 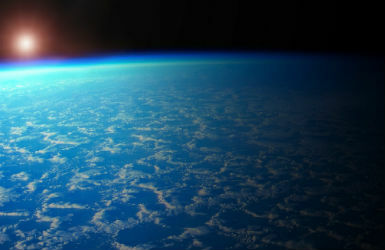 The electric field conditions in the space enveloping planets plays a significant part in gradually stripping away the upper layers of atmosphere (1), with lighter gaseous molecules (like hydrogen) more likely to be driven away than heavier gaseous molecules (oxygen, nitrogen, carbon dioxide, water vapour). As hydrogen is increasingly lost from planetary atmospheres over time, the capacity for water to be formed chemically is lowered. Inevitably, planets in the inner solar system dry out. Which makes the abundant presence of water on the surface of the Earth something of a mystery. 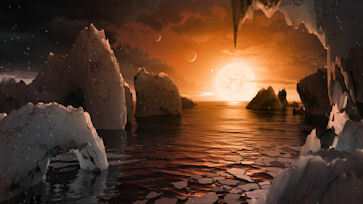 It seems at odds with the arid nature of its neighbours (although, as noted, the presence of water ice on these other worlds is often more significant than previously thought). For many years, the dominant argument to explain this was the later veneer theory, whereby the planets were constantly re-supplied with water by the impact of comets, which were perceived as being dirty snowballs hurtling around the solar system. That theory has been in jeopardy for a while now. 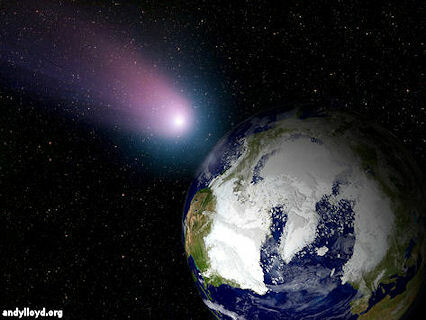 Firstly, comets do not appear to be the huge repositories of water ice that they were once assumed to be (instead, they appear more like asteroids, which 'outgas' volatiles from largely internal icy stores when heated by the Sun, during their perihelion passages). Secondly, with the exception of comet 103P/Hartley 2 (2), the isotopic composition of the water of comets from the outer solar system unexpectedly bears little resemblance to the Earth's water (3). Instead, the Earth's water more closely resembles that and water ice on objects found in the asteroid belt, and inner solar system (4, 5). The ratio of regular hydrogen to deuterium (the heavier, neutron-bearing form of hydrogen) varies according to the mix and origin of the water. So, as hydrogen is stripped away from a planet, the lighter form is driven away more easily than the heavier form. Over time, what is left is an increasingly heavy mix. This deuterium-to-hydrogen (D/H) ratio can provide clues to the origin of water, for the various bodies of the solar system, and how they interact. The complex picture that has emerged over the last few decades has been the subject of many of my articles (6, 7). That's because I consider it to offer strong evidence for an alternative origin for the Earth. My colleague Lee Covino and I noted some years ago that the ability to roughly place solar system objects into zones according to their D/H ratios might help to prove that the Earth began its life where the asteroid belt is now. This would be consistent with Zecharia Sitchin's theory about the intrusion of a rogue planet into the early solar system, the result of which was a cataclysmic event which caused the Earth to substantially migrate inwards (8). We predicted, based upon this hypothesis, that the Earth's waters would share a common composition with those of the asteroids (6). And so it has been largely proven since. One thing's clear - the early inner solar system had a lot more water than it does now, with both Mars and Venus having had oceans. 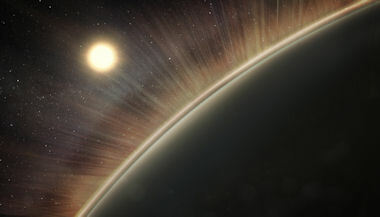 In Venus' case, the water was stripped away. Perhaps the same with Mars, or perhaps it's still there under the regolith. But Sitchin was right - these were watery worlds, and whether Earth started in its current location or in the asteroid belt, it seems likely then that it too had much greater quantities of water. Sitchin described the primordial Earth as being a larger, more watery world - in the Babylonian cosmic myth, she took the form of the watery monster Tiamat, which was rendered in two by the usurper god Marduk (8). It seems as though Venus, too, was a habitable world at that time, and possibly far more amenable to life than our own relatively frigid world. The Book of Enoch contains a great many astronomical references and secrets. I've argued before that these seven stars/mountains are the planets of the Dark Star system, probably including the fiery Dark Star itself (a sub-brown dwarf). The torrid, chaotic environment of that place alludes, I believe, to the way it is wrapped up into a dark nebula of dust, gas, and interstellar medium, as I've described in recent blog posts (3,4), and in a science paper I wrote last year (5) which aimed at solving the inexplicable lack of a direct sighting of the proposed Planet Nine object (6). Given the red glow of the Dark Star emanating from within this dense, localised gas cloud (which is blown back by the galactic wind to provide the quintessential Winged Disk appearance of the system), and its fiery reflection upon the inner planets orbiting it, then one can readily appreciate the description provided in the Book of Enoch. Additionally, the passage from The Book of Enoch discusses a timeframe of ten thousand years. I would suggest that this alludes to the period of time which has yet to pass before the Dark Star system returns to its perihelion position. The first passages of the non-canonical Book of Enoch (known as the Book of the Watchers) was probably penned around 300 BCE, but is likely based upon oral accounts from centuries, if not millennia before that. It would be foolish to try to calculate timings from this, but certainly suggests that ten thousand years represents a fraction of total orbital period of the Dark Star system. One may imply, then, that the full extent of its eccentric orbit may by between ten and twenty thousand years, or perhaps more. This is in line with estimates for Planet Nine, whose existence has been inferred indirectly from its perturbing effect upon a cluster of anomalously extended (or scattered) Kuiper Belt Objects (6). 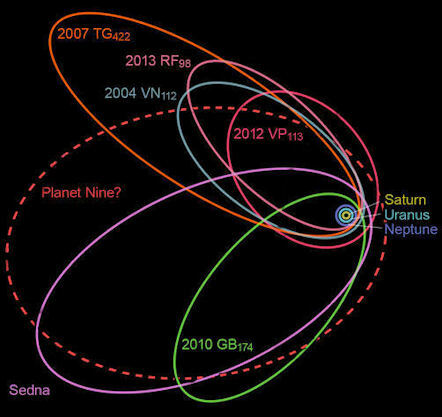 NASA have invited budding armchair scientists to join the hunt for Planet Nine (1). Although a planet thought to be approximately ten times the mass of the Earth is causing otherwise inexplicable changes to the orbits of various distant bodies in the solar system, it has yet to be observed directly. One of the mysteries here is why it was not spotted by the infra-red survey, WISE, carried out in 2009-2010. There is strong indirect evidence for this sizeable Planet X object. But somehow it has managed to evade detection, even though, all things being equal, it should have shown up fairly easily in the sensitive and wide-ranging WISE survey. So, what's going on? Reading between the lines. it becomes clear that the WISE survey was not as foolproof as we were led to believe. 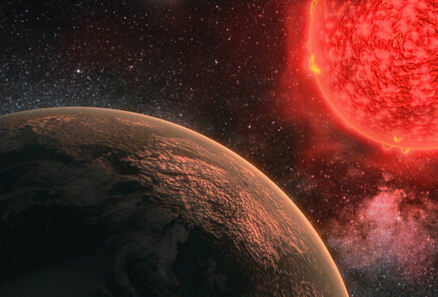 After the extensive WISE data had been pored over by scientific teams, NASA announced the death of Planet X, as well as possible sub-brown dwarfs in our backyard (2). Since then, compelling evidence for at least one planet (3) has brought into question the effectiveness of NASA's search. The appeal for volunteers to trawl through some of the WISE data to pinpoint 'false-positives' indicates that scientists recognise that the computer analyses of the changing sky over time may not have been as thorough as previously claimed. Sometimes, human observational skills are more effective at spotting anomalies. The take-up of the challenge appears to be high, and at the time of writing the work is almost halfway through. 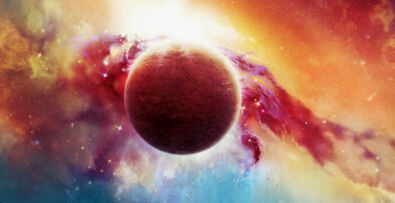 There are no shortage of people wishing to play their part in finding a new planet in the solar system! Spectroscopic analysis of two of the extended scattered disc objects belonging to the Planet Nine cluster shows that they share a common origin. There are seven objects in this cluster. These objects share common orbital features: namely, significant anisotropies in the distributions of their directions of perihelia (i.e. the vector from the Sun to their respective perihelion point) and orbital poles. The statistical likelihood that there is not an extraneous influence perturbing their orbits is vanishingly small. Hence, the realisation among many mainstream astronomers that there really is a massive Planet X object out there, awaiting discovery. In addition to the shared orbital features described above, the orbital paths of two of these objects, 2004 VN112 and 2013 RF98, currently both lying in the constellation Cetus, are also practically identical (1). By itself, that does not necessarily mean that the two objects share a common physical origin. However, the new visible spectroscopic analysis carried out by the Spanish team using the OSIRIS camera-spectrograph at the 10.4 m Gran Telescopio Canarias (GTC) shows that the two extreme Trans-Neptunian objects share a very similar light signature - which is also in keeping with some of the other members of the Planet Nine cluster (3), including 2000 CR105 and 2012 VP113 (2). Sedna is an exception, and likely derived originally from the inner Oort cloud. There are two possible explanations to explain this level of coincidence: (1) a large object broke up relatively recently at perihelion and 2004 VN112 and 2013 RF98 are fragments, or (2) both of these objects were 'kicked' by an unseen perturber whilst at or near aphelion. The first possibility can be ruled out because a fragmentation event would be destructive enough to seriously alter the times of the resulting fragments' perihelion passages - but in the case of 2004 VN112 and 2013 RF98 the perihelion times are practically identical. Furthermore, to cause the fragmentation episode, the original asteroid would have had to have encountered Planet X at reasonably close range, implying that this unseen planet encroaches closer to the Kuiper Belt than has been thus far accepted. As a result of these deliberations, the conclusion has been drawn that 2004 VN112 and 2013 RF98 must have once been a wide binary pair of trans-Neptunian asteroids. Upon being perturbed by Planet Nine at aphelion, they were scattered apart from their common point of origin. "The team performed thousands of numerical simulations to observe how their orbital poles would separate over time, revealing that a possible planet with a mass between 10 and 20 Earth masses orbiting the Sun at a distance of 300-600 AU could have caused the split around 5 and 10 million years ago. The Spanish team's measurements allowed them to hone the values of the ETNOs' orbital paths; in particular of 2013 RF98, which had a previously had a rather uncertain orbital determination. Their resulting values for the Planet X body perturbing these ETNOs were similar to those produced by Harvard astrophysicists Holman and Payne in 2016 (4). 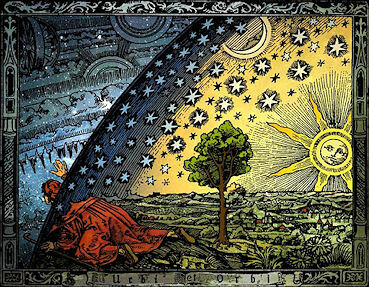 Last year, I published an article entitled "Nibiru and the Younger Dryas Boundary" on the Dark Star Blog. The short essay brought together a number of ideas which I presented in Rome that month, at one of the regular conferences organised by Massimo Fratini. I've referred back to this item a few times now, and commented upon it on various online forums on Facebook, attracting some interest. Some more ideas have formulated around this over time. So, rather than re-hashing old ground on the Blog, I've decided to smarten up and update the essay, and publish it on Academia.edu, where it is now available to download (1). The newer version begins to explore the possibility that the very ancient archaeological site of Göbekli Tepe, at the edge of the Taurus Mountains in Turkey, was the refuge for survivors of the Flood in the Levant, during the end of the last Ice Age. The remarkable imagery carved into the monuments there appear to have astronomical motifs, and I believe them to be a warning to later generations describing the appearance of unusual celestial imagery just prior to the catastrophe. I caught your 2015 interview with Kerry Cassidy tonight. I don't know how I'd previously missed it but she mentioned it a week or so ago, to someone else she was talking to. Although this is not really my area or subject matter (at least not from a technical viewpoint), I've been interested in the Nibiru story since I discovered it around 2001 and I have noticed, of late, a lot of very recent photo and video footage by various amateur astronomers, showing what appears to be the same anomaly that you spoke of; that being shots of the sun with a secondary light source to one side of it. Therefore, when Kerry Cassidy mentioned your interview I wanted to check it out. I went to your site afterwards and had a skim through your latest blog. After reading the "Red Star of Ruin" I think I might have a tiny piece of the puzzle for you to slip in there. It seems that you can't nail down an origin for this story. In 1998 I was researching a lot conspiracy stuff with the intention of writing a screenplay. It got finished but never saw the light of day as a film, although I did eventually release it as an album. I read a lot of books on many subjects, one of which was 'The Head of God' by Kieth Laidler. Laidler was, apparently, the chief researcher for David Attenborough during one of his TV series (the secret life of plants I think), so he knows how to research information. The book was about the head of Jesus and/or that of John the Baptist, being removed after death and preserved in an Ivory box that was kept in the Ark of the Covenant and found by the Templars under the ruins of Solomon's Temple. A lot of his research was about the Cult of the Severed Head in Egypt, a cult of which Jesus is supposed to have been a member during his "wilderness years". In telling his story he points out that Akenahten, for reasons that escape my memory, got wind that he was in danger of being assassinated along with his daughter Scota. Plans were made for her to get out of Egypt and she took off with her entourage, taking with her a large marble or granite throne. They made their way to the Med, into Spain, then the south of France, through France to Normandy, across to Cornwall, into Wales and finally across the Irish sea to Ireland where they settled. 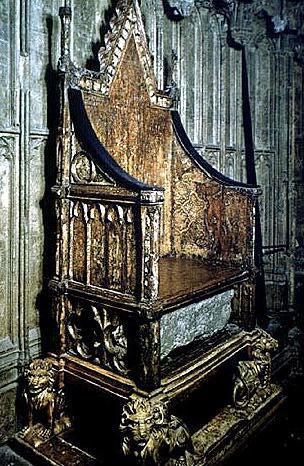 The throne was deposited in the north of the country and became the throne on which the subsequent Kings of Ireland were crowned and is, if Laidler is correct, the real Stone of Scone and not the Scottish brick that was kept in London for all those years. Leaving behind a large Egyptian contingent, Scota eventually went across the sea where she became the the ruler of the land to which she gave her name, Scotland. He also points out that the predominant red hair of the Irish and the Scots is a direct result of interbreeding between the Egyptians and the locals. Given that the Egyptians are said to have had a good knowledge of the Stars and their movement, it's not unreasonable to assume that this story of the Red Star of Ruin came directly from those that had scientific knowledge of Nibiru.